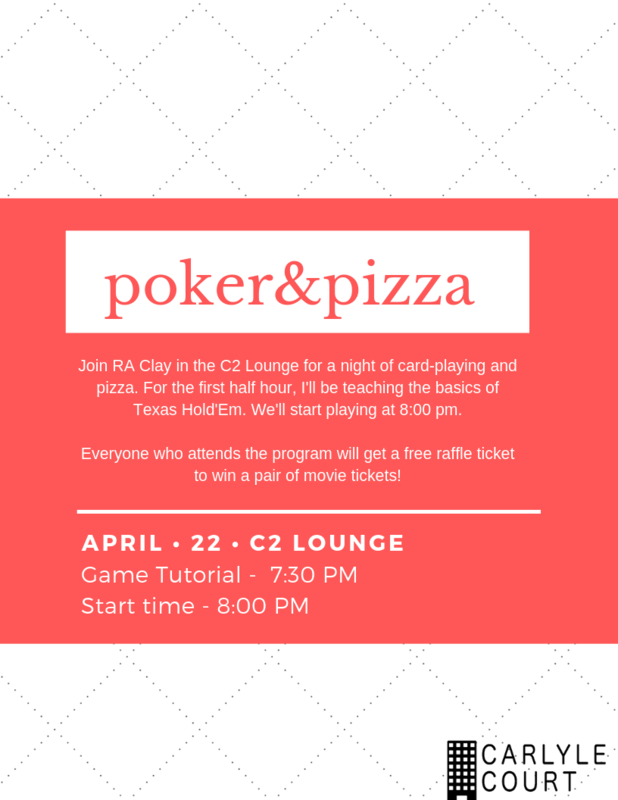 Join RA Clay in the C2 Lounge for a night of card playing and pizza eating! For the first half hour (7:30 pm) I'll be teaching the basics of Texas Hold'em. We'll start playing at 8:00 pm. Every resident who attends gets a raffle ticket for a pair of movie tickets!